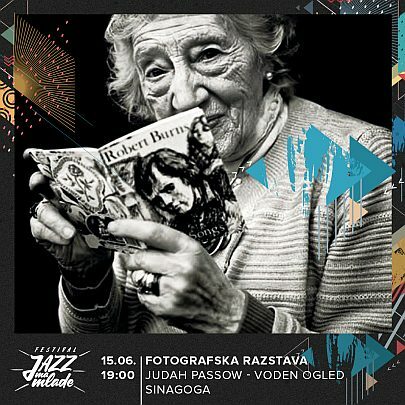 15 June 2018, at 7 p. m.
The Center of Jewish Cultural Heritage Synagogue Maribor is taking part in the accompanying programme of this-year festival ‘Jazz ma mlade’. On Friday, 15 June 2018, you are cordially invited to join us at the guided tour of photographic exhibition by Judah Passow “Scots Jews: Identity, Belonging and the Future”. The guided tour will start at 7 p. m.
Free entry from 6 p. m. until 10 p. m.
Forward to "International Museum Day"
Back to "The Night that silenced the Violins"